In our last blogpost, we used the word “karyakram”, which is the Nepali word for “program”. It is an important word to know because every occasion is a “karyakram” and to get anything done and implemented you first need a “karyakram”. We have also learned that all “karyakrams” are somewhat similar. First, you preferably need a colorful tent. Then you need the most important people (men), to sit inside the tent. Most of these special guests will also get the chance to give one speech each in the opening ceremony. For that, you need a podium and a microphone. At the back of the tent, there is a banner with information about the current “karyakram”. 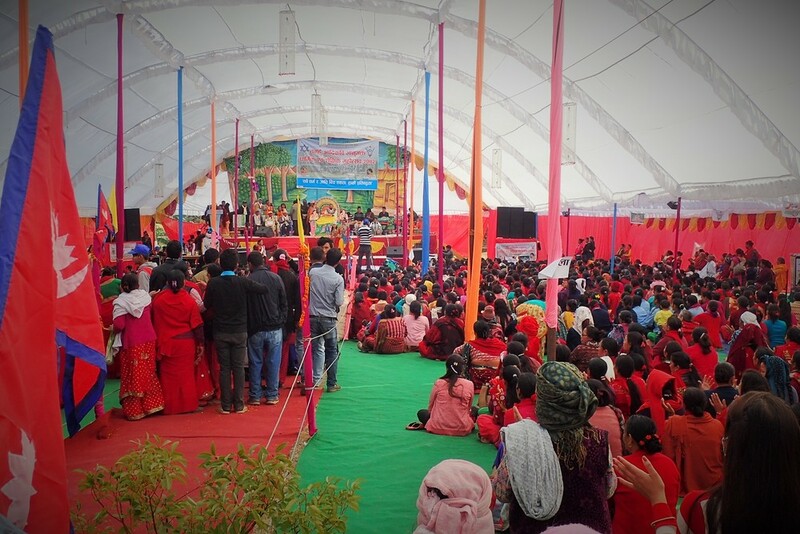 If it is a large “karyakram”, you will get the opportunity to see cultural dance, usually performed by young girls, and maybe singing performances as well. During Red Cross “karyakrams” there will definitely be a picture of Henry Dunant and he will usually get a flower garland and be given tikka. Tikka is red powder put on the forehead; it means victory and is often used in religious or ceremonial occasions. All the special guests who are seated inside the tent also get a flower garland; sometimes they will get a scarf and some flowers as well. 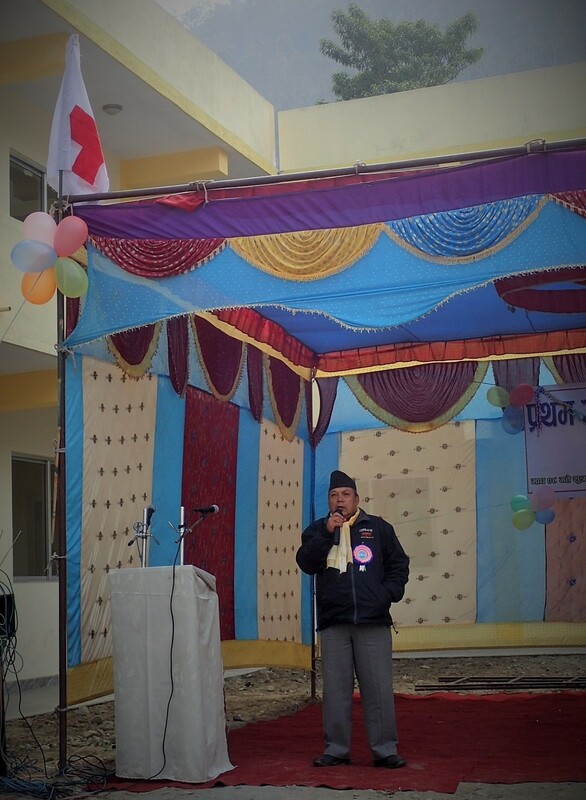 Red Cross President of Tanahun District Chapter, Mr. Gauli Sir, is giving his speech in the opening ceremony.